The Double Serum is more than just a double serum: it's an intensive anti-ageing treatment, enriched with twenty-one different plant extracts that boost the skin's vital functions. After continuous use, skin is firmer, complexion is evened out, and pores are less visible. Many of the plant extracts have also been chosen for their calming effects, while various organic ingredients like oat sugars visibly firm, smooth and lift the skin. 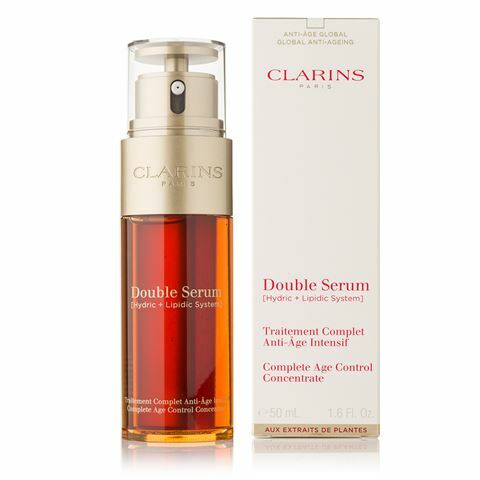 Intensive anti-ageing treatment that boosts the skin’s vital functions. Enriched with twenty-one different extracts. Includes turmeric that effectively combats the visible signs of ageing. Reduces the appearance of pores, improves radiance and an even skin tone, while firming, smoothing and lifting the skin.